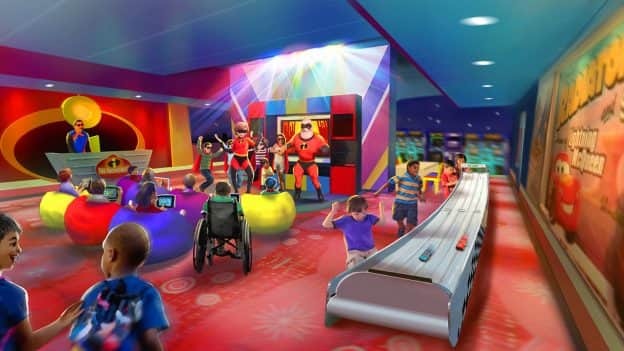 Last week, we shared news of a new immersive children’s experience, Pixar Play Zone, part of a pilot program opening at Disney’s Contemporary Resort on April 13. Starting today, the reservation lines are officially open! Available nightly, kids, ages 4-12, will be transported to a world full of excitement and adventure with their favorite characters from Disney•Pixar’s “Toy Story” and “The Incredibles!” While the kids play, parents will be able to enjoy their own getaway throughout Walt Disney World Resort. As always, stay tuned to the Disney Parks Blog for additional details! Description says doors open at 5 to register and then activities begin at 6:00. Can parents leave once their child is signed in or not until 6:00? CM at the above number wasn’t too sure. I’m so glad there will still be a childcare option other than in room care which isn’t much fun for kiddos. I understand the parents who want to spend every minute with their littles but we have 6 and for us it’s so nice to have a date night or be able to take our teenagers out for some big kid time while our little ones get to play. My kids loved Lilos play house, Simbas, and Sand Castles and we were so sad to hear they were closing. Please go try these while they are still open I believe until June. I really hope parents will untiluze the new children’s center. Our kids beg to go as soon as we get to Disney. The play centers are always their favorite night while at Disney. I wish this had an hourly rate and an earlier pickup. For kids on the younger side, a flat rate with a pick up at 10:30 is way too late. But picking up earlier and you don’t get your $65 worth (which is obviously a lot). When we used Simba’s cubhouse, while dining and have an after dinner drink at Boma, the cost was incredibly reasonable and we were able to pick up our daughter by her normal bedtime. I really wish they would bring back something with more flexibility such as that. We once used a similar service many years ago, never again. We only did it because of a business obligation. 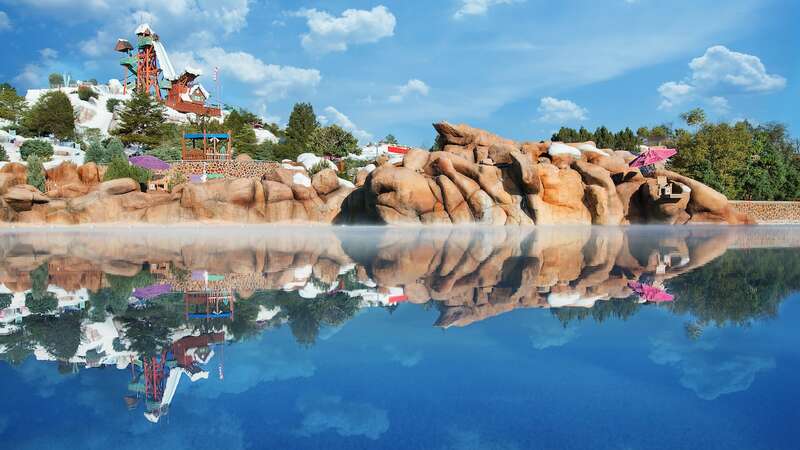 I know there is sometimes a need, like when it’s part business and part vacation, but we like family vacations and enjoy our time spent together and look for only family friendly environments. That’s the whole concept that Walt created it for, families to enjoy being together. I’m incredibly sad that Lilo’s Playhouse will be closing. My daughter really enjoyed it for the theme. I also felt the hours were better suited for a date night. My husband and I went to have dinner while my daughter was at Lilo’s and experienced both monorail closure, as well as boat issues. We were grateful for a small buffer at her early evening pick up (I believe she was dropped off at 4:30, and picked up at 9). Will this be the new childcare facility for the entirety of Walt Disney World? If so, will extended hours similar to Lilo’s be offered eventually? Obviously this is set up so that parents can have a night out, but will there be any option for a parent to come and enjoy the experience with their child? Sheena… my son recently went to Lilo’s Playhouse at the Polynesian Village Resort. He sounds just like your son, 6 years old, ASD, potty trained, and verbal. He had a BLAST!! My husband and I got to have dinner at the California Grill. We we went to pick him up, his face was beaming! He got to do pirate crafts, meet Capt. Hook and Mr. Smee, and bake cookies. He keeps asking to go back. I’m hoping he loves this Toy Story play zone just as much! So Pixar Play Zone at Contemporary Resort to be replaced Game Station Arcade or Bayview Gifts or maybe not or Not sure? Thanks! Can you please provide more specifics on timing? When you do you have to arrive by for the kids to receive dinner? What time is dinner? Also, it says programming goes until 10:30pm. Does that mean pick up lasts until 11pm or 11:30pm so they don’t miss the programming? My son loves the current clubs and likes the crafts. Will crafting still be available? This is fun for a time or two, but I use the kids club monthly, so this could get old fast. Please consider keeping Poly or Beach Club open for those kids in which this is too much activity. Thanks. Will this still include crafting activities for the kids, or is there just dance parties and arcade games now? It’s great that Jessie is included in this, but I wish it wasn’t just for kids. I hope we’ll see more of her once Toy Story Land opens! We miss seeing her in the parks, and prefer to spend our Disney time together as a family. This is amazing, we were so sad to hear Lilo’s play house was closing, but, this sounds even more fabulous! Can’t wait to call and make reservations for our November trip! I have 2 kids with autism. My oldest son will be 6 when we visit early next year and is fully potty trained and verbal and all the pixar characters are his favourite. Would he be able to do this? We would be fine having a parent stay just so he can get this experience. Thanks for your help! I called again and was able to make a reservation. all set now. I just tried to call the number above and they told me to call. 407-824-5434 and I received a voicemail. Is there another number to call?